Hey everyone. I've been missing from here for a while. We moved to a more suitable home, i.e. MUCH more garage space, newer and nicer. We have been renovating our previous home for sale soon. I still drive "CC" when I can and to prove it happened...These photos were taken six miles from our new place. Still a beautiful car welcome back! Wondered what happened to you. Congrats on the new home & garage. 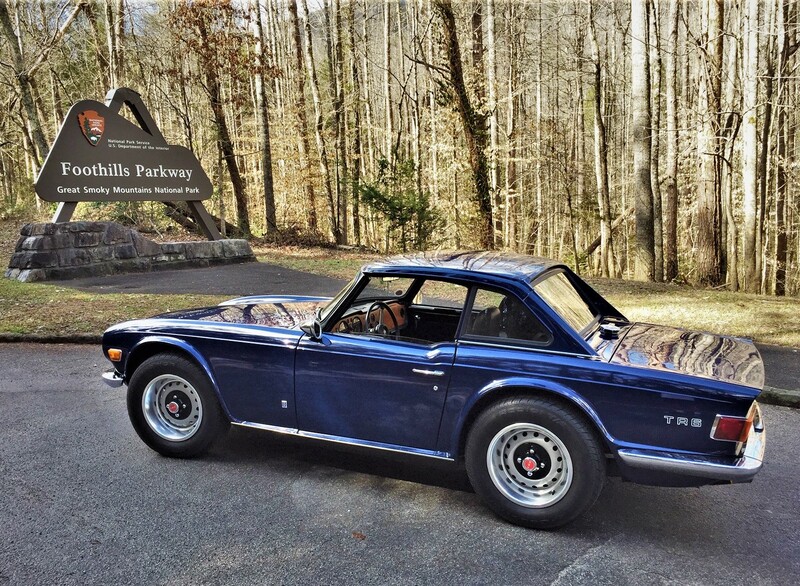 Your TR is really a treat to look at, particularly with the hardtop. Life keeps moving. Car is looking nice! 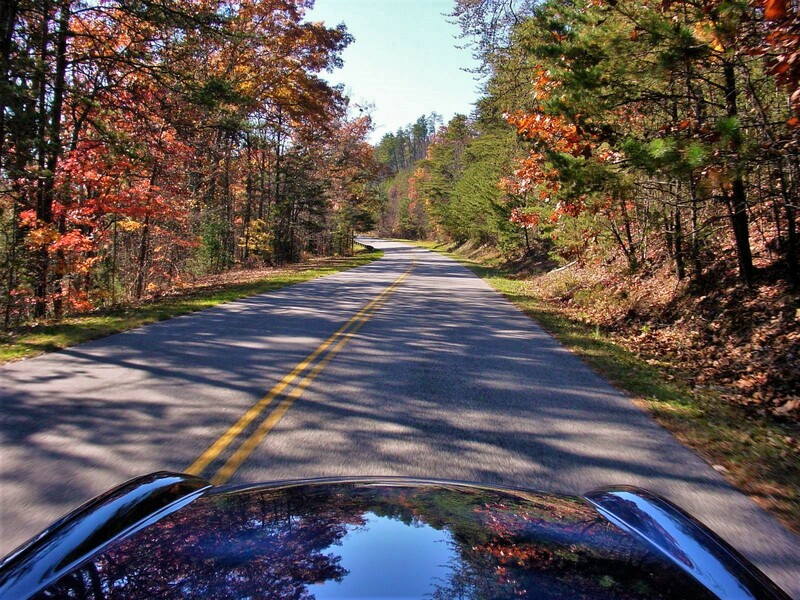 Bet that piece of road is an incredible cruise top down on a fall day with leaves in full color. From a drive on that road in November, 2012. Do you live on the WEst side of the Parkway by Fonatana or the East side by Cosby? I live just Southeast of Maryville TN and that photo was taken 6 miles from home near the middle of the Parkway closer to Walland and Townsend than to either Fonatana or Cosby. I very much wanted to meet up with you guys at Trials but moving was a pain and took a month. Last edited by Greg_M; 02-11-2019, 06:18 PM. Gorgeous shot. As much as I would love to wind up my 6 when I travelled on such roads, I always worried about some animal jumping in front of me. I think of all of us, Ken had the worst experience with the cow. Still amazed at that one. Yeah I remember Ken's cow. 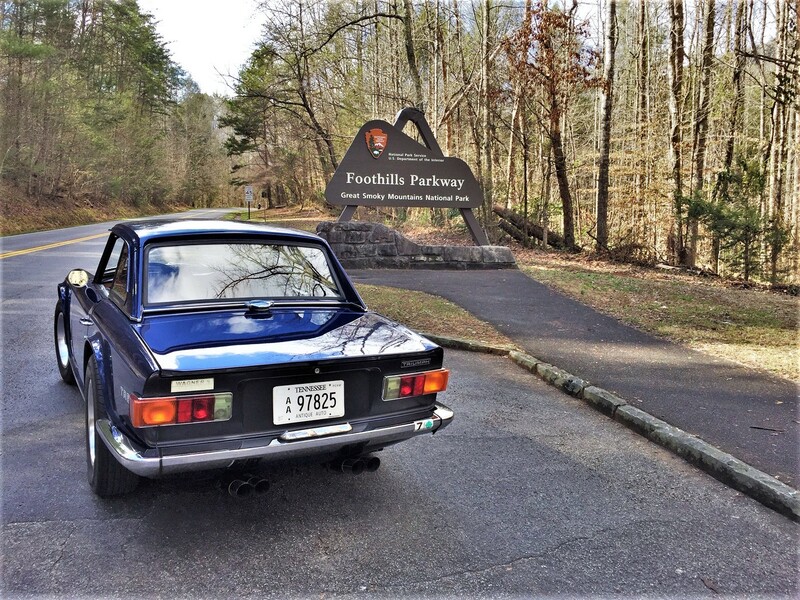 I've been driving sports cars on this road and others like it in the area since 2002 and never had an animal larger than a squirrel get in the way. I fear hitting bicycles more. Hi Greg, welcome back. Missed you at TRials in your backyard. Last edited by lfmTR4; 02-11-2019, 06:16 PM. Ouch! What a bummer for you, sorry to hear it. Hopefully it recovered well and you are back to normal. It left a scar but I was lucky not to have cut the tendon or a nerve. I had to stay off of it for 3 days, I spent 3 days in a support boot and then didn't need it. It took me 9 days to walk a mile and by 14 days I was doing 4 miles a day, like my usual workout. BTW, that's a great shot of your car on the Dragon. Last edited by Greg_M; 02-11-2019, 07:45 PM. I was wondering why you didn't show up, Greg.